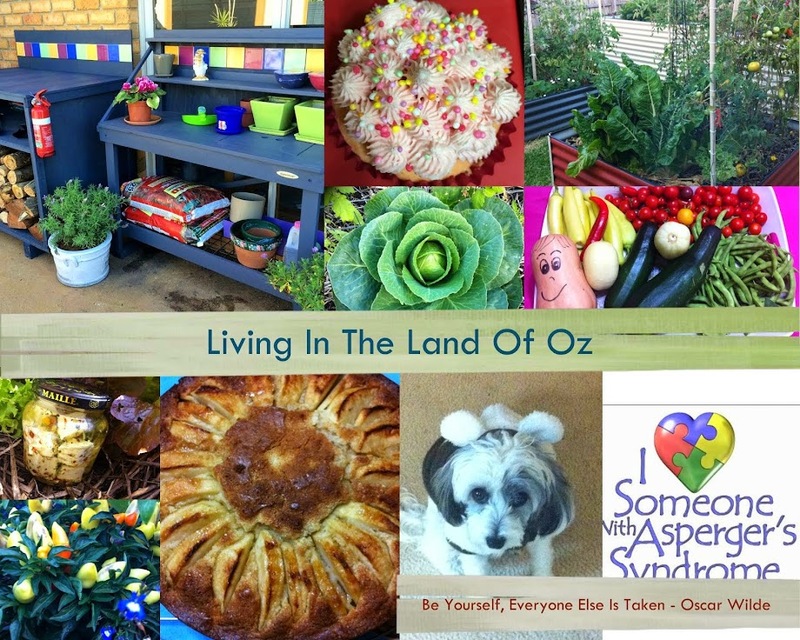 Living In The Land Of Oz: Being Bold - If you dont ask, you dont get! 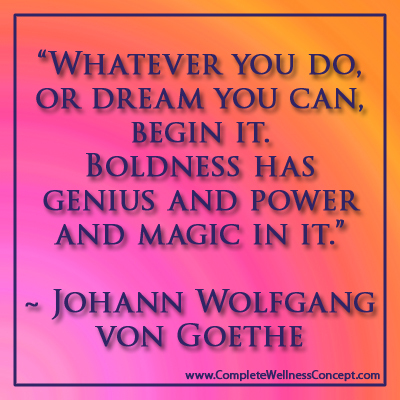 Being Bold - If you dont ask, you dont get! 3. Unduly forward and brazen. Gosh, this topic is a bit out there today. Why am i giving you an English lesson? 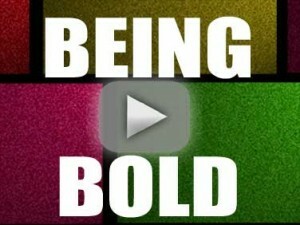 I'm not really, its just that i was told i was "bold" today and it got me thinking what the word actually meant. Looking at the above definitions it could be seen as both a positive and a negative attribute. So was it a compliment? Am i fearless and courageous? No siree - last week i was asked by a council rep. to back my blog, or at least my posts on the workshops I've been doing at Shoestring Gardening in order to support their application for continued funding from the council. This involved an interview on camera. I couldn't run fast enough despite my commitment to Shoestring and the wonderful work they do. I wrote long long emails and provided access to my blog posts for a powerpoint presentation but put me in front of a camera (either still or video) and it just wont happen. Why? I am introspective (big word) enough to understand that i have self-esteem issues regarding my appearance. I am a BIG girl. I am intelligent (some would think) enough to know that it shouldn't matter but it does and so there is the truth of the matter. It doesn't stop me from achieving results though - i work around it. Remember - i am bold. Am i unduly forward and brazen? Hmmmm Am i one to put myself out front or do i have no shame? I do know i am easily embarrassed. At almost 50 I still flush red with embarrassment to the point of being purple when i inadvertently find myself the centre of attention. I sometimes without thinking point out a naughty joke or make reference to a sexual innuendo only to be completely undone when i realise what i have said and everyone is looking at me. The boys in the office have great fun at my expense. I then become the joke, because of the colour of my face. Somewhere inside is the "good girl" that knows shes been naughty and hence my embarrassment. At 49? 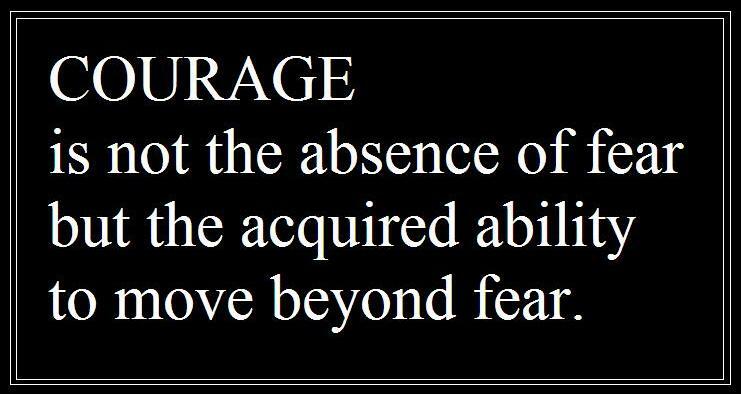 I think this could also be probably linked to the second definition of bold and that is exhibiting courage and bravery. I guess yes, i could be seen to put myself out there. I do often take the lead, not to self promote but to get the job done. I am task orientated. Am i conceited enough to think that someone else couldn't do it better? No, but often no one does, so i jump in to make things happen. I think what i am capable of doing (i don't know how) is faking bravery. I'm a very pro-active person and if something has to be done to get things rolling then I'm probably going to be the one to do it. Yep, i think that's it. I step out of my comfort zone and fake boldness in order to achieve results. Someone give me an Academy Award. So here's the rub - if i can do it, with my handicap of self esteem issues, so can you. My husband calls this ability as having "more front than Myer and David Jones put together". 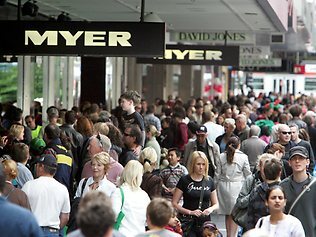 This is a Melbourne saying as there are two major department stores in the city that sit side by side and together their frontage takes up most of a city block. He is not referring to my bust size but my ability to make things happen. I am sure his life would be much simpler (but less organised) if his wife were one to sit round painting fingernails and looking ornamental but when you are built like a brick "S....t" house, you don't get to play the dainty fragile card. I am physically as capable as he is and he knows it. So i just better get on and do the job. I have never had a bikini nor have i smoked but the shape is about right! If you don't ask, you don't get! So why was i told i was bold today? Karen at Shoestring asked us a week ago to collect PET bottles and plastic milk bottles for an up and coming workshop during school holidays where they will be teaching children about composting and gardening and the whole premise of Shoestring is to re-use, re-cycle and re-purpose. So much to my husbands embarrassment when we were in Bunnings (large warehouse hardware store) i asked the cafe if they had empty milk bottles they were throwing out. Of course they did, I'm not silly, but would they give them to me? Most people, if you explain why you want something, will help you out. By the time i got back from getting a trolley she had removed them from the bin and rinsed them out. I arranged an appointment to come back next weekend to do the same. Oh and while I'm at it could i have your coffee grounds as well. Sure, just bring a container. Now is that hard? Did it hurt anyone? Was i unduly forward and brazen? Was there anything to be afraid of other than the word "NO"? By mid week, my collection has grown considerably. They are breeding like rabbits in my family room and will soon take over. I've now got several coffee providers doing the same and have appointed times each day for collection. Why provide a few, when you can give lots. They are going to think we (a family of 3) drink a lot of milk. Need veggies for your chooks or styro foam boxes for growing seedlings, then rock up to your local fresh market and ask to dumpster dive out the back. Most don't care, its waste anyway. On second thoughts perhaps i do have no shame. Not Me - I'd love a rear view like this one. Running short of funds and cant pay your utilities. Then get on the phone at your earliest possible time and negotiate a payment plan. Why stress over it? 9/10th of the people on the end of the phone do not care. They will just make a note on the file and move onto the next customer. Its not personal, they don't know you, you are just an account number on their system. Paying too much for something, then negotiate. If you aren't comfortable in person, then do it over the phone. Or, if you can possibly fake confidence, like i do, look them straight in the face. Very few people will turn you down completely. Compromise is the key. You might not get everything you ask for but possibly more than nothing. My point today, is not to gloat about my scavenging abilities, my acting prowess or to shout FIGJAM (if you have to ask, don't). Its to encourage you to step outside of your comfort zone and take control of (or skirt around) your insecurities in order to achieve great things in your life. Be Bold! It's funny because when I read through my blog, I think - wow, look what we've done! But I have a very hard time feeling proud of myself. My mom told me last night that one of her friends is looking forward to meeting me - my mom describe me as "opinionated" to her...Hmmm...That doesn't feel like a positive trait. I do have my opinions - but I am open to others opinions. Mark made a joke because the other day we went to pick strawberries at a "u-pick" place...he walked past a young couple with a baby and nodded his head and said "good afternoon" - I walked past a made a new friend...we talked all about another u-pick place, where to find the best strawberries etc. I am a shy person - but I force myself out of my comfort zone - for the better of my family. While you may be "bold" - I think you are "strong"
Yep, I think I saw myself in you (a younger version), this is why we connect. I too make friends everywhere. I love the connection and it usually starts with a smile and a compliment. 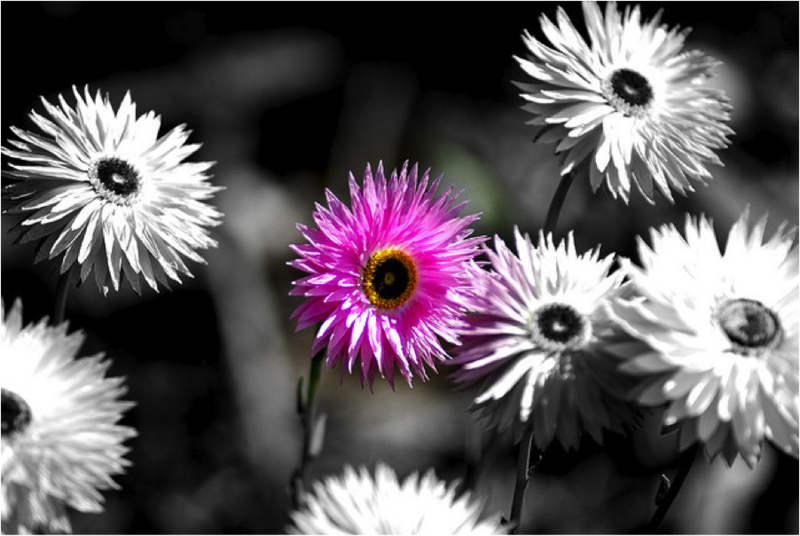 Gosh, isn't it funny to see yourself one way and be actually be different. No matter. I work hard on being a super model on the inside. I love that word "bodaciousness". I know that monkey. He says you've worked hard, you deserve this. Funny thing is, I get up at 5 (late for you) and make my husband breakfast and a healthy lunch of salads with fruit and yoghurt and then walk out the door with no breakfast and grab whatever for lunch. I force myself to be bold. Having done so for a long time in order to satiate my need to be pro-active and achieve what I have to it has become easier and so now I don't think too much about it until someone tells me "you are bold". I tell my shy daughter a version of this post all the time - if you do what you think other people want you to do, they probably won't notice because they are mostly thinking about themselves. If you do what YOU want to do, they probably won't notice, because they are mostly thinking about themselves. But if they do notice, they'll see that you are a real, honest person, happy in her own skin. This is a lovely insight into your character Lynda! Keep doing just whatever you want to do, and enjoy life! When City Council's Get It Right! I am about to burst with happiness! Oh Lordy - The Teen is Renovating his Room!! !